Edward van Vliet is always looking for equilibrium. Colours, patterns and use of materials must be in balance and form a whole. By opting for timeless motifs, Van Vliet always succeeds in creating new combinations that nevertheless seem familiar. With the Izem carpets, he put this working method into practice by combining a cube pattern with almost classical colour combinations and a vintage look. Izem is a beautiful machine-woven carpet in the soft pastel tint of “Cream” with olive-green cubes, or deep warm blue-grey with dark red. Izem is available in the colour themes of Cream and Blue. 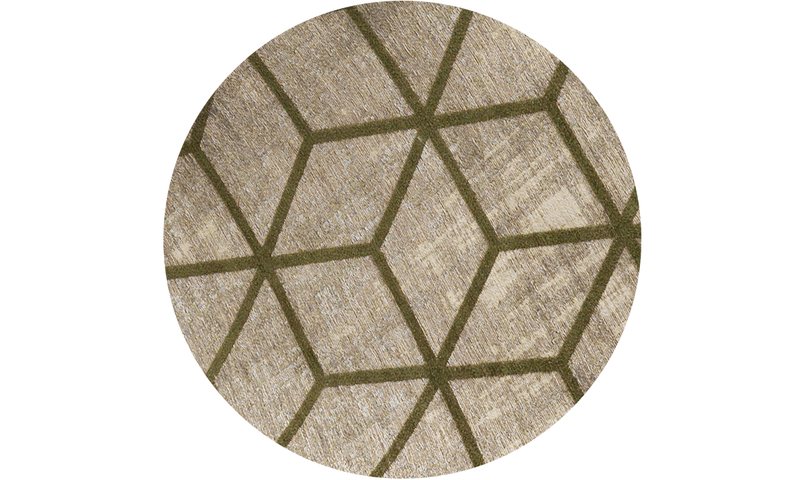 The carpet can be manufactured in the sizes 200x300 cm and 240x340 cm. The “vintage” look is not only created by the use of colour, but also by a unique weaving technique. Some of the threads are not cross-woven, which means they are threaded more loosely in the rug. These can tear or be damaged by strong sideways or upwards movements.